Wonder What Kind Of Person Might Plan False Flag Attacks, Murdering Innocent American Children, To Further The Globalists Gun Grab Agenda? This Viral Photograph Answers The Question: What Kind Of Person Might Plan False Flag Attacks, Murdering Innocent Americans, To Further The Globalists Gun Grab Agenda? By now, almost everybody who pays any attention to what is really going on in America has likely seen the video or the gif. For those who are living in a bubble or may just not yet have had the opportunity, we've published the gif photograph that has shocked America directly above and as Susan Duclos tells us in the 1st video below, the smugness, attitude and sheer disdain seen in the face and eyes of Peter Strzok is a perfect example of the dirtbags within the corrupted faction of the deep state who sold away their allegiance to America while selling their souls to the devil to get Hillary Clinton elected. So if those paying attention to world events needed any more proof that the so-called 'global elite' may all be satanists, and they clearly HATE America, we get it from Peter Strzok. But just remember, folks like this who have long been 'lording over' the American people, who created the 'police state' in America, are still just one election away from getting back into power should Strzok and the other 'layers' and 'traitors' who sold their souls away have their party win in 2020. And if you've wondered what kind of person might happily plan and carry out false flag attacks, killing innocent American children, we might have the answer in Peter Strzok. As Judge Andrew Napolitano pointed out back in 2013, over the previous 10 years, the FBI had been involved in the planning, and stopping, of at least 17 false flag attacks. Was Peter Strzok involved? 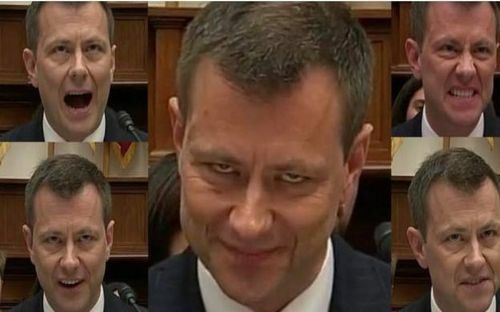 Certainly all America knows by now, if Peter Strzok is 'the face' of the 'deep state', the 'deep state' must have gone insane under the reign of Barack Obama. 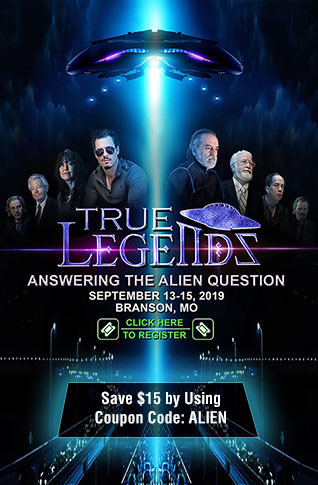 As Torgo1969 pointed out in a comment on Susan's video below, "he is the type of person who would plan and execute Operation Northwoods." For those who aren't aware, Operation Northwoods was a proposed false flag operation in the 1960's for the US government to carry out acts of terror upon US citizens, blaming those acts of terror upon Cubans, in an attempt to get the American people to support a war with Cuba. If the eyes are the windows into one's soul, Strzok clearly is devoid of one completely. While ANP is happy about the direction that America is headed under President Trump and his attempt to wrestle America away from the globalists who'd long believe they'd cemented America into their luciferian 'new world order', as this July 12th story over at Zero Hedge points out, America is still a 'deep state paradise'. Kicking off their story with the classic lines to a 1970's song by Stealers Wheels: "Clowns to the left us...jokers to the right...", the masses of us who are "stuck in the middle" are being squeezed to death from both sides even if we don't quite realize it. Like the frogs slowly being boiled to death in what they thought was nice, lukewarm water, technologies are imprisoning us, the technocratic police state quickly surrounding us and as we pointed out in this July 6th ANP story, the 'boiling frogs police state' in America was largely built up under the reign of Robert Mueller and his subordinates such as Peter Strzok. And with the US government still actually targeting Americans for death by hit squad, as the Zero Hedge story points out, "...your editor sees the scaffold going up in front of him...and there is the hangman approaching with a noose in his hands..."
As Susan Duclos tells us in the video directly below, with Peter Strzok having been involved in not only the Hillary Clinton email probe but also the Russia-collusion investigation and many other high profile cases as a part of the team of Robert Mueller, can Americans trust ANYTHING that this guy says or the results of the investigations that he has helped to lead? Peter Strzok is clearly the very definition of corruption with anything coming out of his mouth or investigations he's led being the 'fruit of the poisonous tree'. Do you, as an ANP reader, trust anything that Peter Strzok says or the results of any of his investigations after what you witnessed from him during his testimony on Capitol Hill? Certainly with more than half of America absolutely disgusted by the political antics that took place within the FBI and the DOJ in a failed attempt to ensure that Hillary Clinton got into office, as long as pure filth such as Strzok continue to pollute their investigations with their political leanings, the reputations of the DOJ and FBI will forever be tarnished. Even President Trump himself recently pointed out the deep state corruption in this July 14th tweet. And with Republicans now considering impeaching Deputy Attorney General Rod Rosenstein, as Michael Snyder points out in the excerpt from a new story below, such an impeachment could lead to the end of the Robert Mueller investigation, leading to Democrats going absolutely ballistic. If this happens, it could change everything. Even more than Peter Strzok, Deputy Attorney General Rod Rosenstein is a perfect example of a deep state operative. No matter who we have sent to Washington, our government agencies have always been dominated by deep state operatives such as Rosenstein, and up until recently, the American people have seemed powerless to do anything about it. But now there is a ray of hope. If Rosenstein were to be impeached, that would almost certainly mean the end of the Mueller investigation, and Democrats would go absolutely ballistic. If you think that the circus on Capitol Hill on Thursday was a riot, a Rosenstein impeachment would likely make that 'circus' look like mere child's play and could lead to a Democratic meltdown all across America. 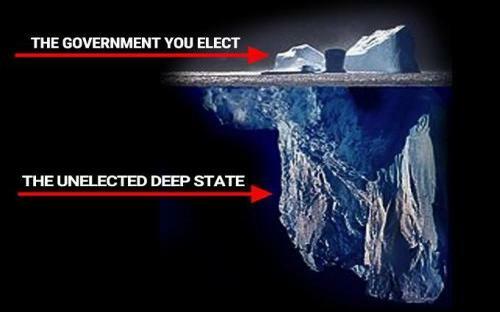 Yet even with a takedown of Rosenstein, Strzok and all of the rest of the traitors to America within the 'deep state', would that be enough with the huge majority of that unelected bureaucracy still hidden way below the surface? The mere fact alone that traitors such as Strzok have been exposed to the American people for what they are is a huge win but as the previously mentioned Zero Hedge story points out, the 'deep state paradise' that has been built up in America has happened steadily over many, many years. So the chance of it surviving mostly intact despite even possibly 8 years of a Donald Trump presidency is likely very high. Yet as we've pointed out in previous ANP stories, we don't believe that everybody within the FBI and DOJ had sold away their souls to the devil to get Hillary Clinton elected and as has previously been pointed out, there are absolutely 'heroes' within the 'deep state' who remained loyal to America, not Hillary, and did their jobs. And to those within the 'deep state' who remained loyal to America and hadn't sold their souls away to get 'their candidate' Hillary into office, we thank each and every one of them for their service to America. In the next video below, Owen Shroyer from Infowars takes a look at more of the 'highlights' of the Peter Strzok testimony to Congress. While in the final video below, Infowars takes a look at why the recent indictments by Mueller's team of 12 Russian's are really the reaction of the cornered deep state swamp rats to the predicament they've created for themselves by selling their crooked souls to get Hillary Clinton into the White House.